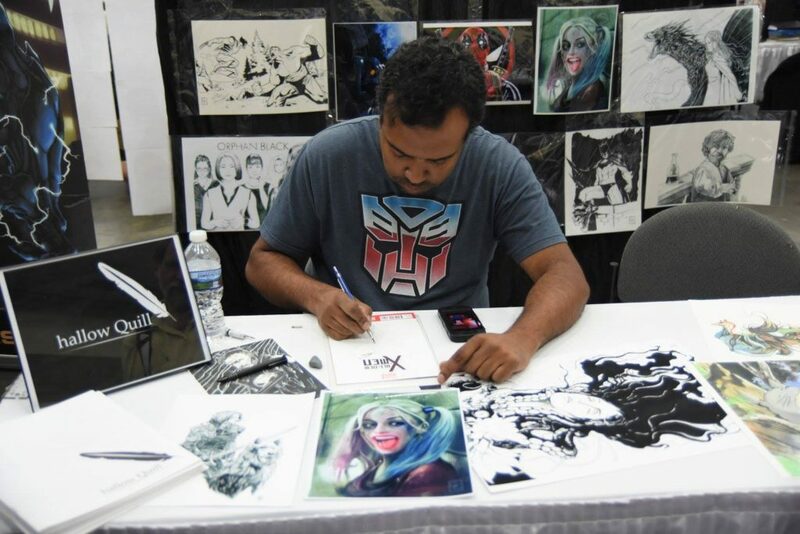 The 17th Annual Baltimore Comic-Con arrived this past weekend to its home at the Baltimore Convention Center. With thousands in attendance, this was a really awesome year. BCC held no stops for celeb fanfare this year with the lineup of Sean Astin (Lord of the Rings), Hayley Atwell (Agent Carter), Kristian Nairn (Game of Thrones), Candice Patton (The Flash) & Michael Rowe (Arrow). We were also honored to have the 2016 “Guest of Honor” Kevin Eastman (Teenage Mutant Ninja Turtles). I really like this con because it really shows love to the “comic” book fans. Comic powerhouses had a great presence this year. Boom!, Valiant & Visionary were in the building, alongside my new fav After Shock. The Harvey Awards were great this year with graphic novelist Vivek J Tiwary had the crowd laughing and entertained the entire night. The prestigious “Hall of Fame” award went to the creator of MAD Magazine, Al Jaffee. The exhibit floor was filled with really great cosplayers and talented artists. From create your own comic company “Webtoon” to 3-D figures from “Mucky Chris” to Nerd Love dating advice from Harris O’Malley, it really was a little something for everyone. I can’t wait to see what’s in store for next year!